Curry sauce may not be the typical London condiment of choice for chips – apparently only 6% of us go for it – but Poppies is about to change all that with a curry sauce takeover this spring. 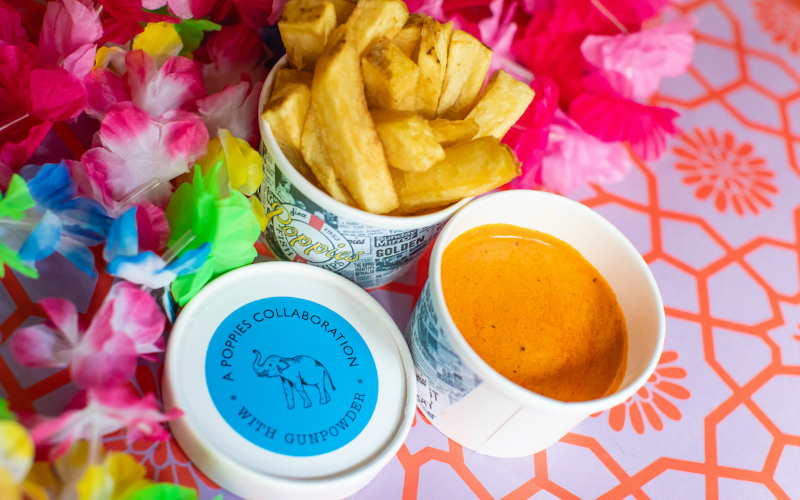 The Spitalfields chippy is teaming up with two of its Commercial Street neighbours, Gunpowder and som saa, to create the perfect curry sauce and chips combo. Gunpowder is up first, with its family recipe-inspired sauce available in April before som saa’s northern Thai curry sauce hits the shop in May, so ditch the ketchup and spice up your life. For the latest stories, exclusive offers and competitions, get us in your inbox.